About three months ago – prior to the draft and Phil Kessel trade – I wrote a post about the top five Leafs prospects. 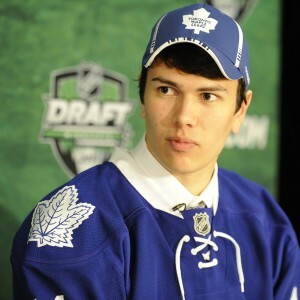 Since that time, the Leafs have added Mitch Marner through the draft, and traded for Martin Maricin, Kasperi Kapanen and Scott Harrington. At the time of the last post, Hockey’s Future had the Leafs ranked 19th in the league, and while they haven’t changed their rankings since the Leafs newest additions, you can be sure the Leafs will be going up when they do. That being said, the Leafs still have a long way to go before they can be ranked comparably to the Jets, Coyotes or Sabres. The previous rankings are available here. 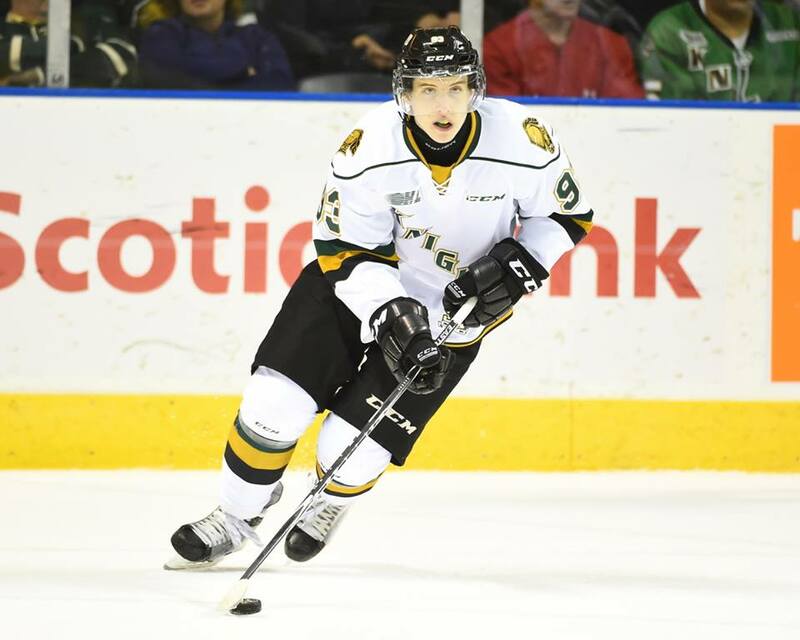 There can be no doubt that Mitch Marner is the Leafs’ best prospect. A local kid who grew up a Leafs fan, Marner is one of the best stories to emerge for the team in recent memory. He also happens to be an immensely skilled offensive blue-chipper who has NHL scoring title potential. Of note is his dedication to improving his craft, as he told Sportsnet on the day of the draft he had watched an entire season’s worth of Patrick Kane games in order to study the player he models himself after. 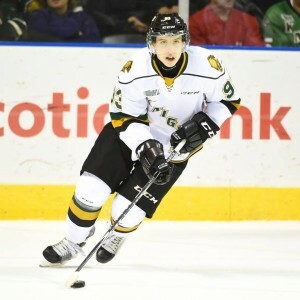 Marner also figures to be a decent two-way player with a bit of grit, and he will likely end up being the best Leafs player since Mats Sundin – not to put too much pressure on him. Marner is the highest pick – 4th – that the Leafs have made in nearly twenty years, and projects as an elite, top line NHL centre. And of course, if you haven’t already, this video of Marner as a kid is a must-see. Picked 8th overall last year, Nylander is a 5’11 180 lbs centre/winger with the potential to be a high scoring, dynamic player. 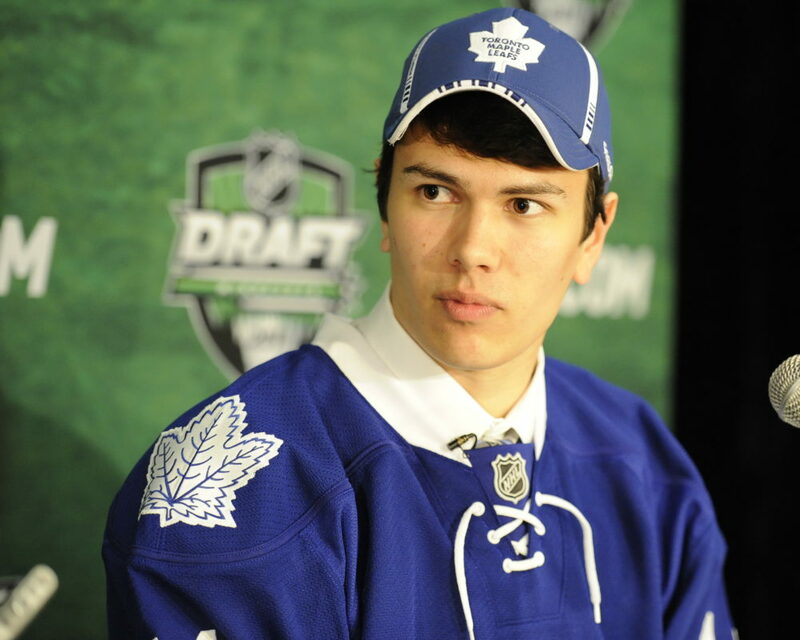 He played against men in the Swedish Elite League, and had success before debuting last year in the AHL with the Marlies where he scored an impressive 32 points in 37 games as a rookie. Is he too small to be an NHL centre? Hard to say. Certainly there are players like Tyler Johnson and Claude Giroux who are successful despite being a similar size, but the Leafs had him on the wing in the AHL and despite being listed on most pages as a C, I believe most people see his future in the NHL on the wing. Of note is that there are some people who think that Nylander is an even better prospect than Marner. Is that true? Can’t say for sure right now, but the very fact people are talking about it is an excellent endorsement for the former 8th overall pick. Famous already for being acquired in the Phil Kessel deal, Kapanen is listed as 5’10” 170 lbs, and was drafted 22nd overall last year. Interestingly, though picked much later, he was ranked ahead of Nylander as the top European skater available in his draft year. He is said to be an above average skater with a great wrist shot and quick release. (From theHockeyWriters’ Next Ones series.) Hockey’s Future says that he “plays a skilled, cerebral game.” And scouts overall seem to be split on his defensive game. Overall, he’s a great addition to the prospect pool and when you have a player as skilled as Kapanen is as your 3rd best prospect. 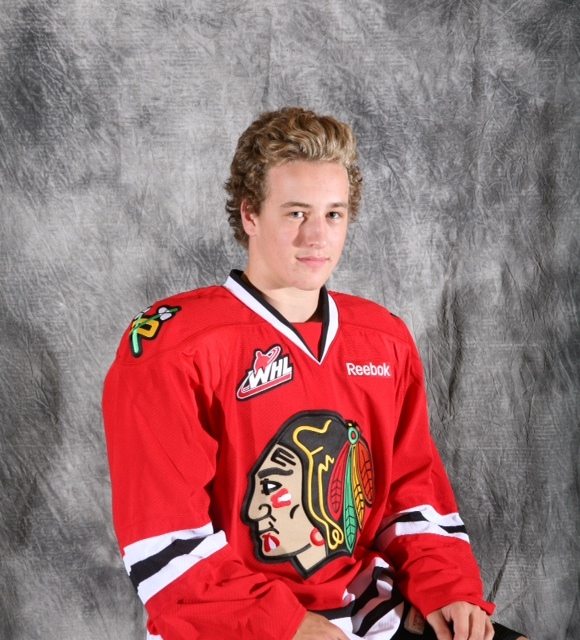 Acquired from the Predators in the Cody Franson trade, Brendan Leipsic is a former 3rd round pick. 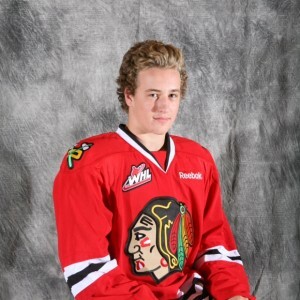 He is 21 and a 5’10 180 lbs winger from Manitoba. This year in the AHL he played 74 games and had 54 points. He’s a speedy winger who “hits everything that moves,” and plays the role of agitator, perfected by guys like Matt Cooke and Darcy Tucker – though Leipsic may have more offensive upside than either of those players because of his speed and skill. One hilarious story about him is that he once drank from the opposing goalies water-bottle, in order to drive the other team nuts. Leipsic is said to be a lock to be an NHL regular – potentially as a top six scoring winger, but at worst, in a checking role with some offense throw in. Percy looked great in the nine games he played with the Leafs this year. Though he only scored three assists in nine games, Percy looked poised and confident playing defense in the NHL. While he only scored a CF% of 44%, the Leafs were not a good possession team and his most common partner was Roman Polak, not exactly a possession stalwart. Encouragingly, when not paired with Polak, Percy’s possession numbers improved greatly and he posted a CF% of 49% when not on the ice with Polak. It would be no surprise to see Percy make the NHL out of camp this fall and I expect him to be an important part of the Leafs’ blue-line for years to come as he’s calm, he moves the puck well and doesn’t seem prone to making very many errors.